Japanese Bride Kimiko in Honolulu, Hawaii. 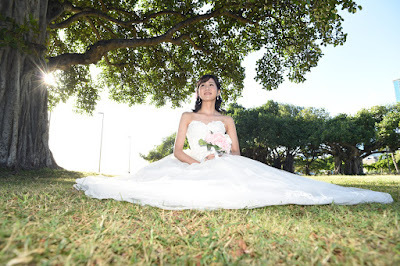 Oahu Photographer Robert Hamilton shoots bridal photography at Ala Moana Beach Park. 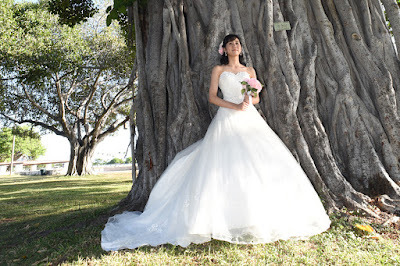 Lovely wedding dress with a tropical Banyan Tree setting. I like to call this "Princess pose". Rays of the sun peeking through the tree just right.